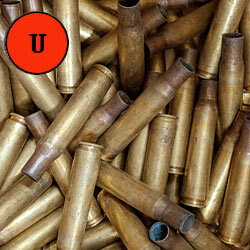 Our reloading brass is processed and handled the same way we handle our own personal brass. We don't believe in shortcuts. 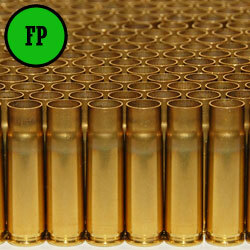 All of our brass is guaranteed to be once fired brass. We pick it up ourselves at the military base and perform the processing in our own shop. For those who want to get a hands-on look at our brass before committing to a full box, we offer sample packs of 50 to 100 cases. 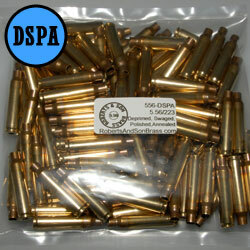 Our full boxes of bulk reloading brass are either 500 or 1,000 cases depending on the caliber. On our full boxes, we offer a bulk discount for buying three or more boxes. 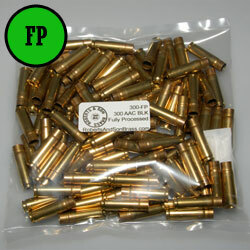 The majority of the brass we process is Lake City or WCC, although there may be other military brass included as well. Thank you for taking the time to visit Roberts and Son Brass; we look forward to helping you with your rifle and pistol brass needs. 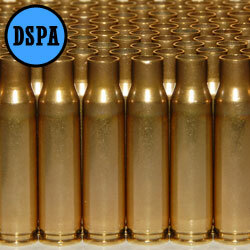 Find the brass that fits your needs! Unprocessed. Debris has been removed from the cases, but no processing or cleaning has been done. 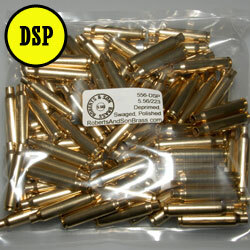 The military crimp will need to be removed when processing. Deprimed, Swaged, Polished. This brass has been deprimed, the primer pockets have been swaged, and the cases have been thoroughly polished inside and out. Final processing is all that's left to be performed, such as sizing and trimming to length. Deprimed, Swaged, Polished, Annealed. This is the same as DSP, except the brass has also been annealed to allow for more consistent sizing and extremely uniform neck tension. Fully Processed. R&SB's premier offering, this brass has been deprimed, swaged, polished, annealed, full length sized, and trimmed to length. The case mouths are belled to eliminate manual deburring. It's "Good to Go!" More Info on Our Process.